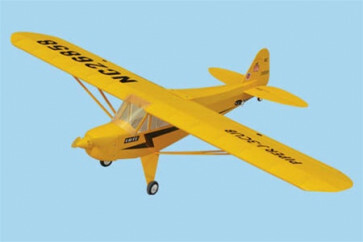 This is the AirBorne Models Piper J-3 EP. 4 channel radio, 4 micro servos, 20A speed control and 3 cells 11.1V 2100mAh Li-Po battery and charger. Wing span : 48.5 in. Wing area : 330 sq.in. 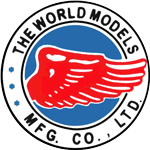 Direct drive brushless motor and propeller included.